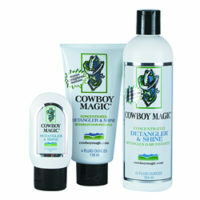 Cowboy Magic is formulated to give hair a super shine. 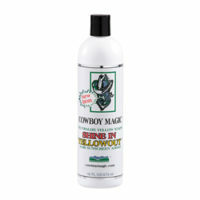 As a result, it helps repel show ring dust and dries fast. It is concentrated: SUPER BODYSHINE is concentrated and ready to use. 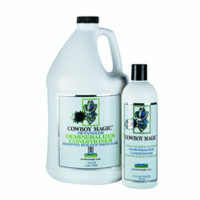 It works instantly: Formulated from nature’s natural ingredients just spray it on and stand back and prepare to smile. SUPER BODYSHINE dries fast and reflects a full spectrum of light resulting in a maximum body shine under sun or show ring lights. It is a deep conditioner: We have added Aloe Vera to strengthen and condition hair and skin. 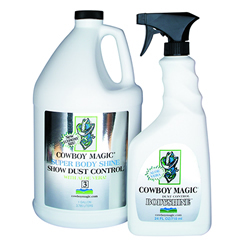 Furthermore, it helps repel dust: SUPER BODYSHINE makes it more difficult for show ring and stable stall dust to collect on hair saving grooming time and work. In addition, it is long lasting: SUPER BODYSHINE will not become gummy and sticky after days of use, reducing the number of trips to the wash rack. Do not use under saddle area while riding, saddle may slip.